If food is your passion, then this is the event for you. 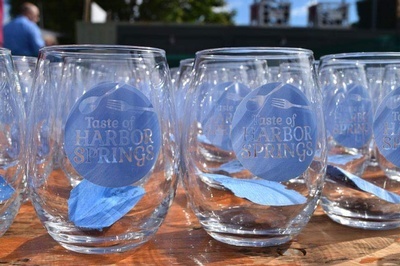 With a delicious history spanning over 20 years, the Taste of Harbor Springs is a popular palate-pleasing event! Hosted by the Harbor Springs Area Chamber of Commerce, visitors and residents alike will enjoy creative foods, new wine and craft beers. Event is rain or shine under the tents on the waterfront in downtown Harbor Springs and supports culinary scholarships for Northern Michigan Culinary students and professionals. YOU MUST BE 21+ TO ATTEND! Attendees must be 21 years of age or older to attend Taste of Harbor Springs. Valid ID will be checked at the gate.